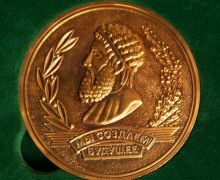 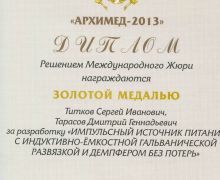 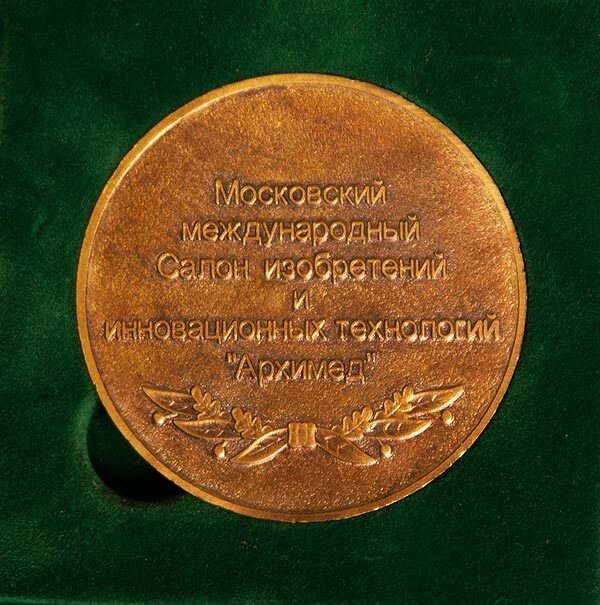 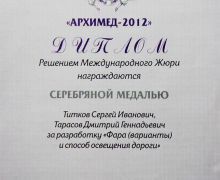 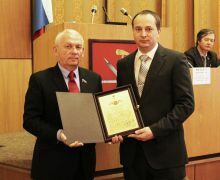 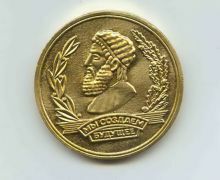 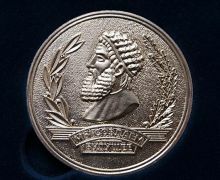 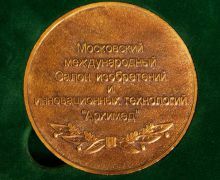 According to the results of the Moscow International Salon of Inventions and Innovation Technologies «Archimedes», held in March, 2012 in Exhibition center «Sokolniki» in Moscow, our specialists were awarded with worthy tributes. 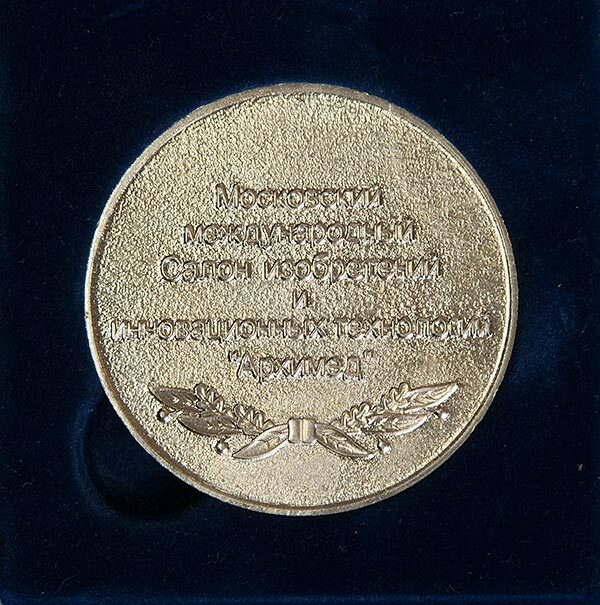 The silver medal for the development of led anti-dazzling lights and the Bronze medal for the development of transformerless galvanic isolation of switched-mode power supply. 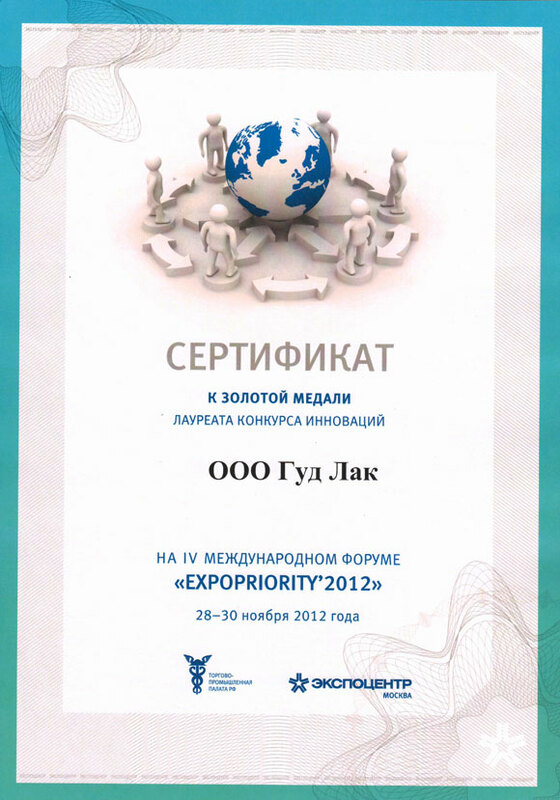 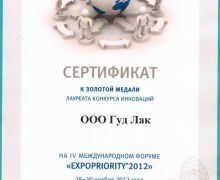 At the end of November, 2012 the International Forum on Intellectual Property «Expopriority-2012» was held in Expocentre, Moscow. 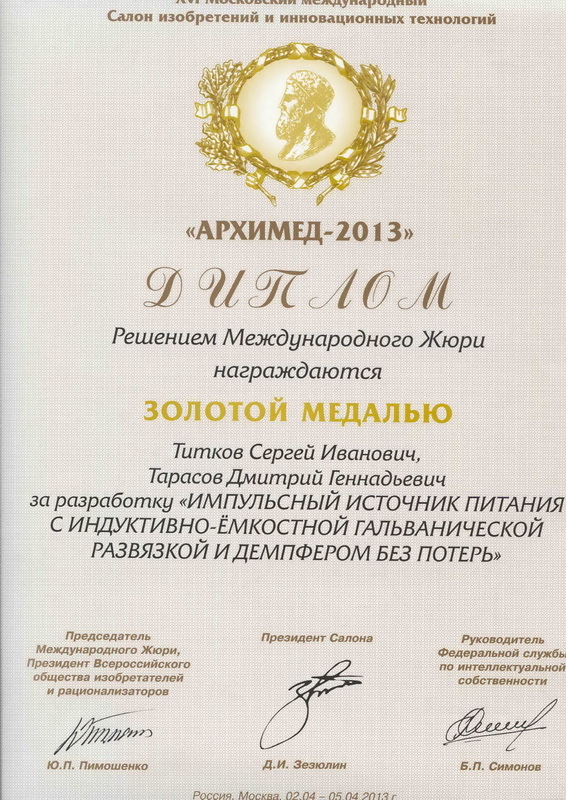 The company Good Luck took an active part in it. 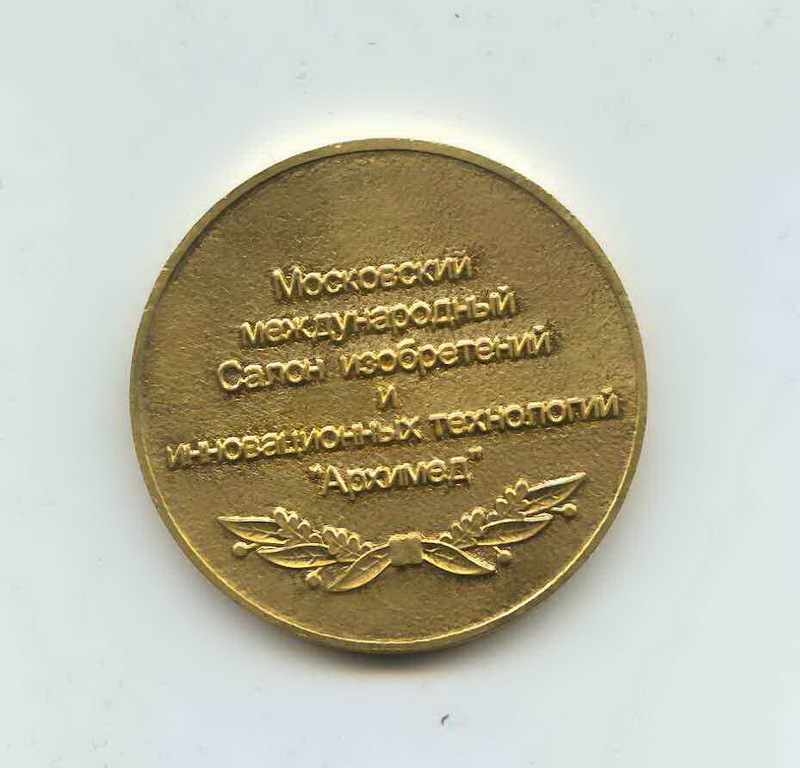 The inventions of our company aroused genuine interest of all the participants and were awarded with the gold medal and the diploma for innovative inventions. 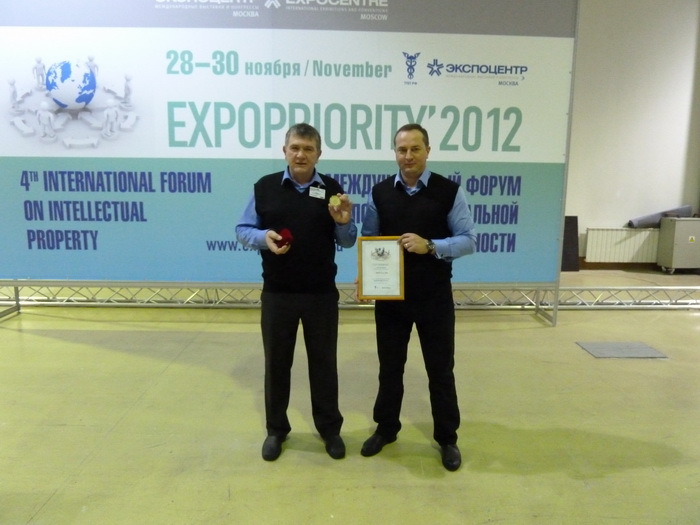 The XVIth Moscow International Salon of Inventions and Innovation Technologies "Archimedes-2013» was held from 2 to 4 April 2013 in Moscow and for the second time we became the participants of the event. 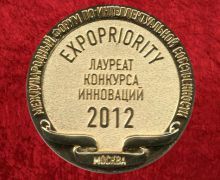 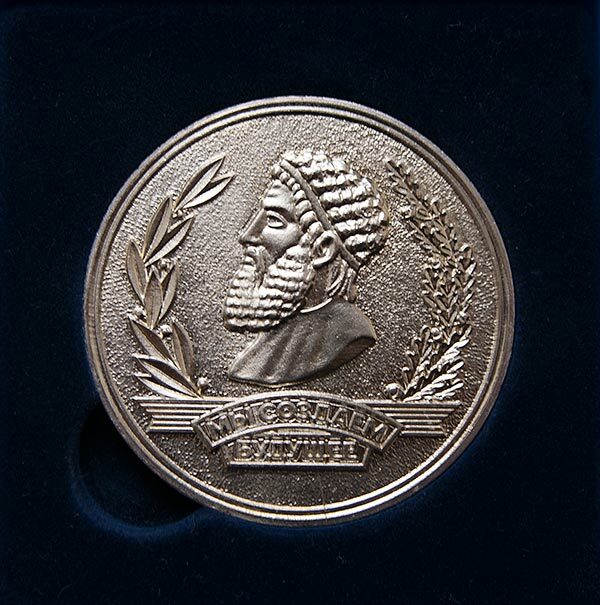 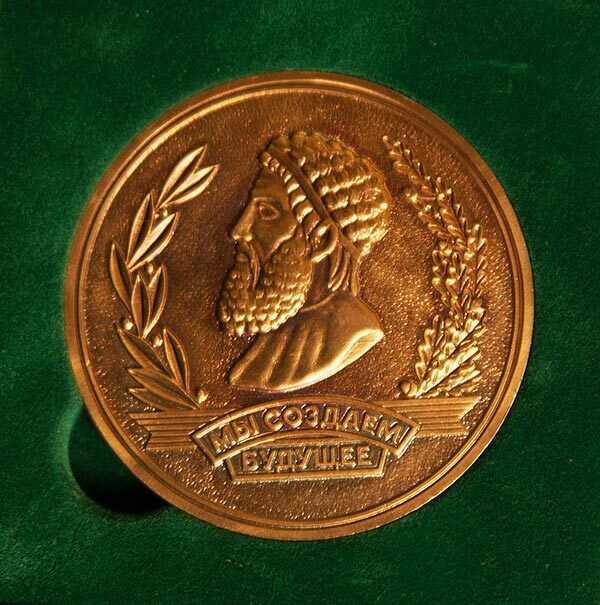 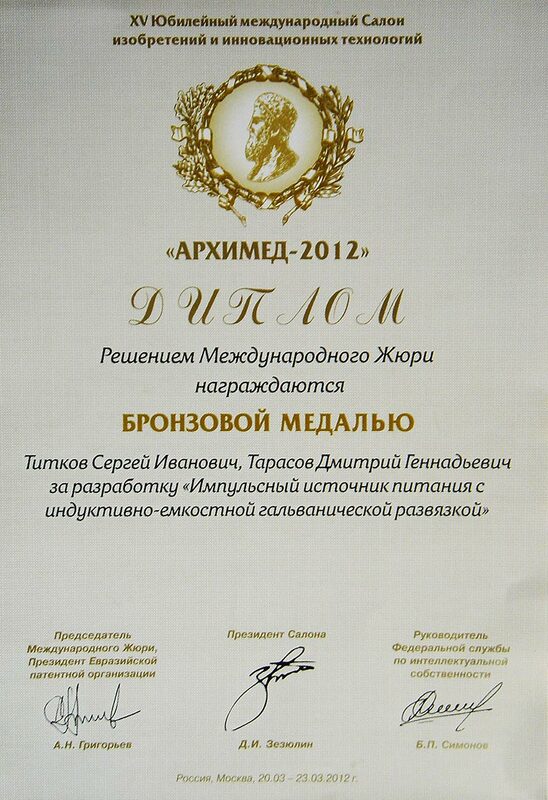 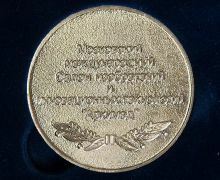 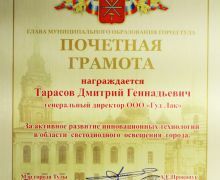 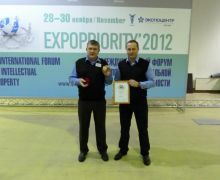 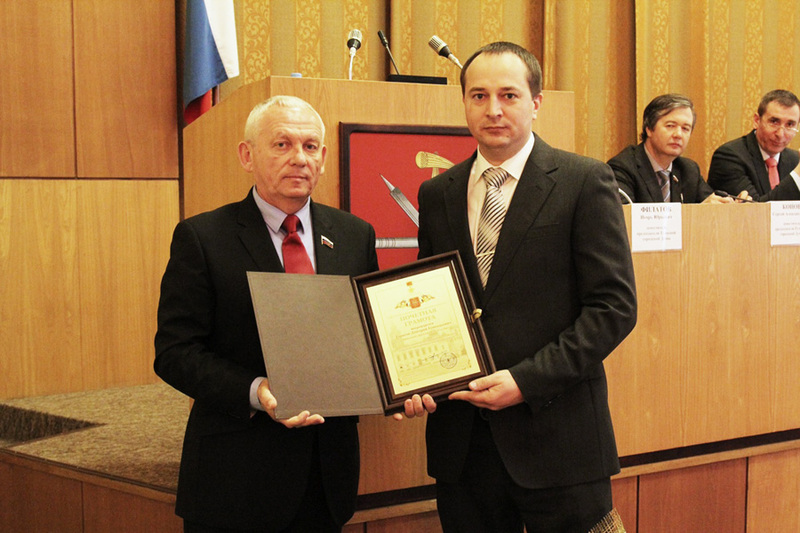 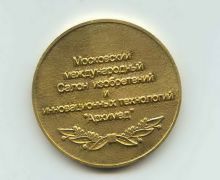 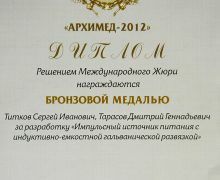 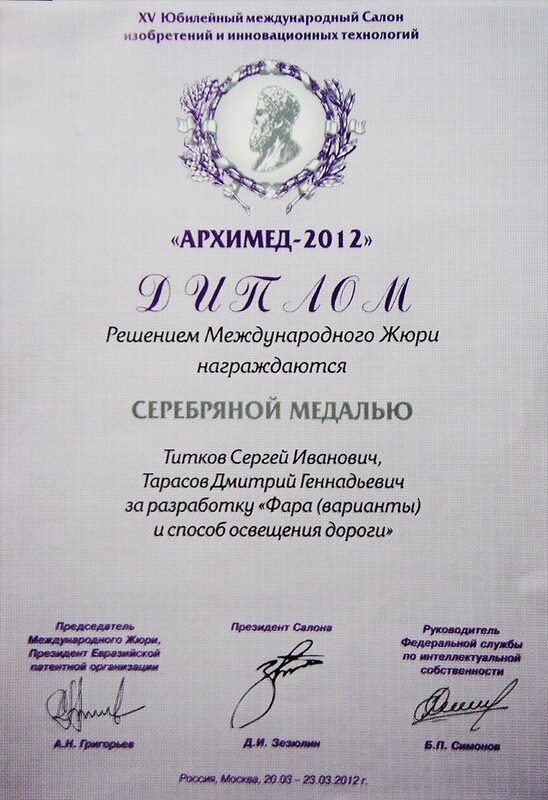 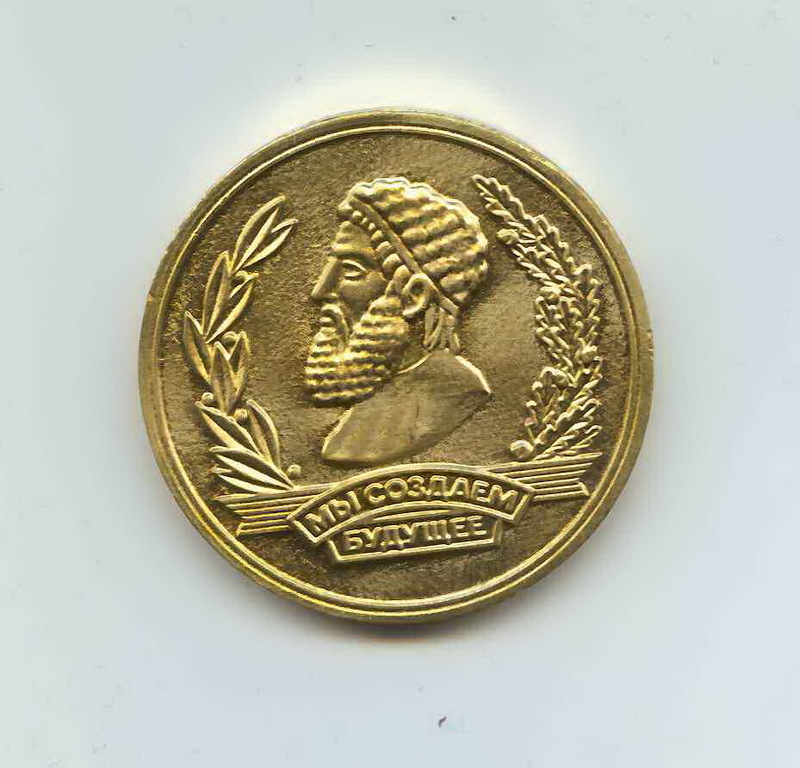 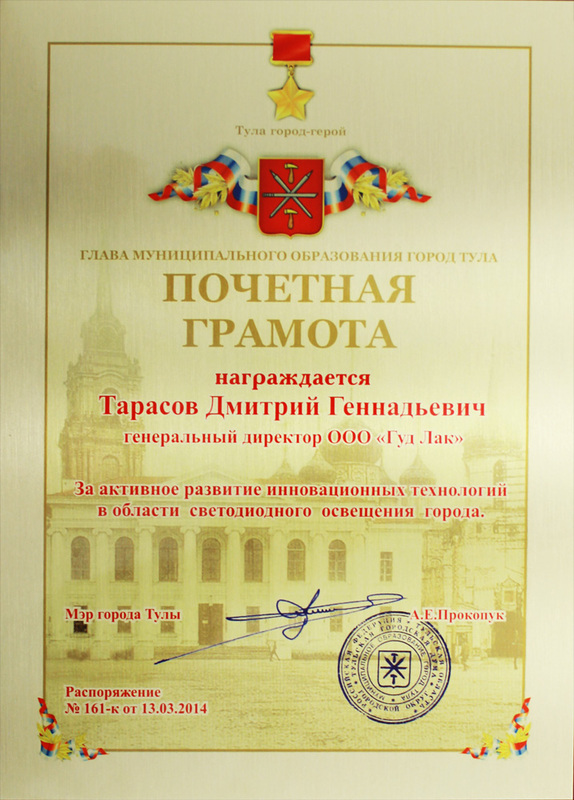 For developments in the field of switched-mode power supply specialists of Good luck were awarded with the GOLD medal! 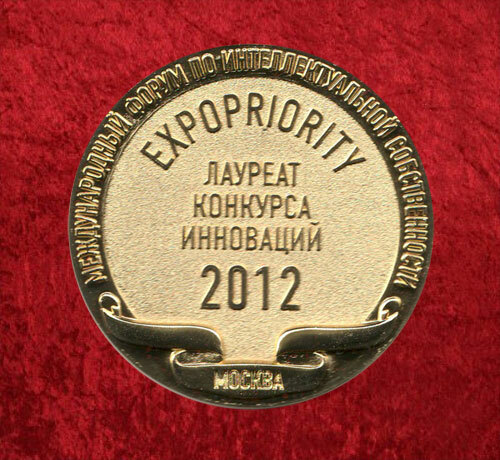 Scientific and technical development of our company constantly apply not only for producing well-known samples of our products, but for already tasted goods, allowing to improve their quality with consistently competitive prices. 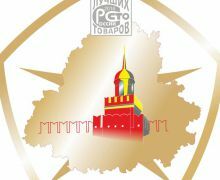 Due to the «Price-Quality» ratio, led products of the trade mark Good Light are most attractive among the led products on the Russian market, and that's, undoubtedly, our pride.